History Undressed: Free Jane Austen Downloads and More! Free Jane Austen Downloads and More! 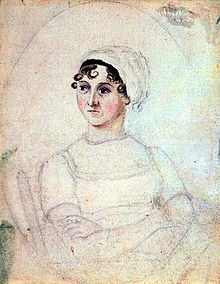 Happy 235th Birthday Jane Austen! Sourcebooks, the world’s leading publisher of Jane Austen fiction, is offering a unique deal to readers who want to celebrate Jane by reading special editions of all six of Austen’s beloved novels in a 21st century format. Special e-book editions of Pride and Prejudice, Emma, Sense and Sensibility, Northanger Abbey, Persuasion and Mansfield Park will be available for free for one day only. These celebratory editions include the full novels, plus the legendary color illustrations of the Brock brothers, originally created to accompany the books in 1898.
iBooks, Google Books, Amazon, Barnes & Noble, Sony and Sourcebooks.com. Thanks for passing this information along! Wow, I just stocked my e-reader...so many books, so little time.